As you saw this topic is about why people can't quit with S4 League. And I'm sure most of the people here actually have this problem. I opened it in tipps and tricks because you can actually use this phenomenon called "Concorde Effect" for reaching other goals in your life. The name "Concorde Effect" Comes from the plane named "Concorde" in the 60s. In the development phase, the costs clearly exceeded the target. Giving up, however, was not an option, because you would impersonate nationally as incapable. And so the engineers continued even though the machine was barely profitable. The Concorde effect is not a rare phenomenon in the human behavioral repertoire. It's a kind of over-commitment to a goal. Clearly, these goals are often illogical or unreachable. However, if we put a lot of time, money and love into something then we refuse to give it up. The irony of the effect: the higher the costs/losses, the more you stick to these goals. The mind stops as soon as the setbacks become unmanageable. The actual goal takes a back seat and in the foreground are more: Investment, time, self-confidence and reputation. In this connection we ignore warning signals, ignore risks and deny facts. However, the effect can also be exploited differently by achieving set goals. For example a trained body, better grades, learning languages, finding happiness in love, etc. Do you invest a lot of money in a thing that is just over your limits you stick to it. For example, buy expensive equipment for your workout. Sign in to a expensive gym rather than cheap gym. Affair expensive books or an expensive tutor. Excuses such as "too little time" fade into the background because the effort is simply too high. As a result, we are holding on to the matter more. Later, time and love will be added. So we refuse to give more and more up because the effort couldn't be in vain. You can't do much against the effect itself. In contrast, only a forced change of perspective helps. Instead of focusing on the disadvantages of giving up, it helps focus on the benefits. Grow on a failure, save costs, decide reasonably, there is no shame to failure. 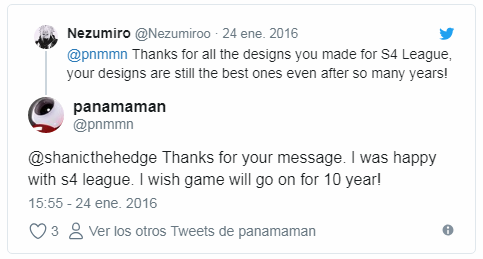 Well I guess this was nothing new and sorry for my english. I feel hard stuck in s4 simply cuz there is nothing like it or better on the market. S4 is surely not without cons but it has a lot of pros too. The gameplay is fast, the controls feels great, you can play with any weapon and skill you want, the character customization is deep enough, asian style characters. How many other TPS multiplayer games have that? The movement is unique, we have an extremely low weapon swap timing that allows for a certain smootheness. The combine any types of weapons/skills aspect is amazing and binds us to classes of the dev's imagination to a much lesser extend. TD is just something in conjunction with how s4 plays that is unseen anywhere else. Yeah at some point the public got the DustStation-2 problem, but there are still people (even non-toxic ones at that) going wide in maps. I have found myself leaving and coming back a few times now. S4 is just amazing. It has seen bad management and big parts of the community aren't helping the game. But the game itself is imo just wonderful. I agree with you all, the gameplay is unique, there's nothing like it. Also I have been playing since 2009, and I still love it. It becomes a part of your life, believe it or not. But yeah, it wasn't what it was in the past. S4 needs a facelift. And despite the rutt its going through right now. I still enjoy S4 the gameplay is still unique and no other game is like it, plus I pretty much grew up with it. I do agree it's not the same all those years ago but nothing ever stays the same but I think S4 does need a little pick me up to get back on the rails again. Played since beta, sometimes returning for like one week. The game didn't seem to improve on any aspects, but well. The gameplay is what keeps me interested to come back. It needs a lot of love to make use of its great potential. Now i'm just here to see the old and new bicker about things everyones been bickering about for yearssssssssssssssssssssssssszzzzzzzzzzahhhhhhhh... It's fairly amusing. I quit during Prosie days, just stuck around the forums. Haven't touched this garbage game since. Thought some people can't quit because they honestly haven't found anything else that interests them. At least that was my reason for a while, until I started playing League. Couldn't quit league until I found a new mmo/moba to play and keep my attention. as an old ex staff member, I have a lot of good memories of the community, the game and many friends I had here. Yeah, I can assure that. I'm spanish and I have a great number of spanish people on my friend list. But it can't be compared to the amount of english or german people. It is funny that 10 years since, no other game could have capture or get any close to the gameplay that s4 offers. Gunz may have came before s4 but couldn't outlive it anyway and was inferior. OW borrowed a lot of stuff from it but turned out to be completely different thing (not to mention is on a decay since its first year). Es curioso que, hace 10 años, ningún otro juego pudiera capturar o acercarse al juego que ofrece s4. Gunz pudo haber llegado antes del s4, pero no pudo sobrevivir de ninguna manera y fue inferior. OW tomó prestadas muchas cosas, pero resultó ser algo completamente diferente (sin mencionar que está en decadencia desde su primer año). Overwatch is the big example for bad management and bad decisions, please aeria have mercy with S4League. OW was basically an example of a big company going wrong so at the end of the day, the size of the company doesn't matter. It is about the effort put to sustain the game so everyone can do it if they want.